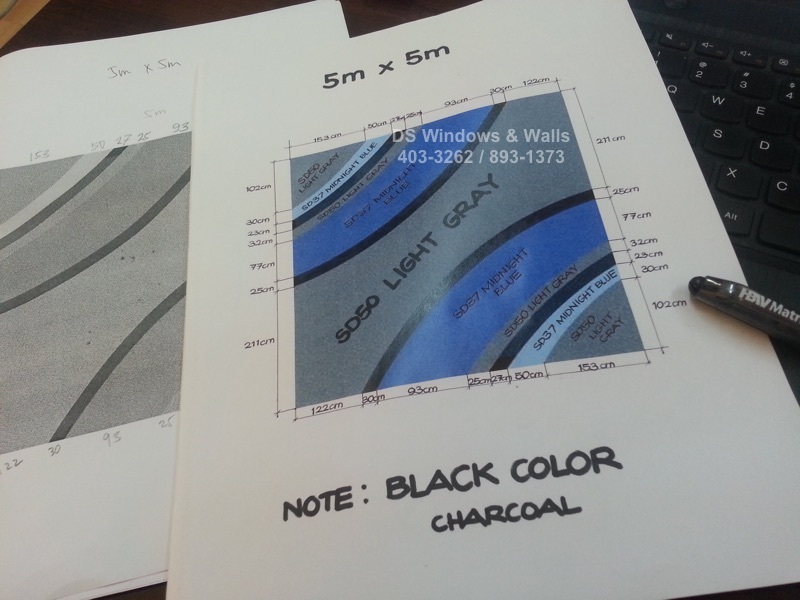 Custom carpet designs starts with the art concept with appropriate dimensions in paper or with the use of tools such as Photoshop or even AutoCAD or similar software. This requires imagination, drawing skills and/or computer software skills. The design will also depend on the requirements of the project manager or the end users. 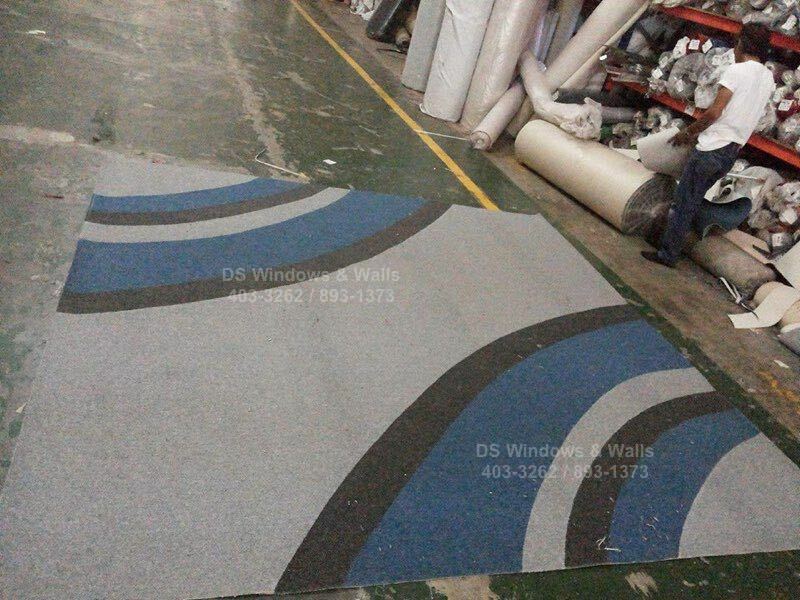 Our company do not provide the art concept and design services, we only implement and produce the actual carpet base on the layout with exact dimensions. Given the exact dimensions and color specifications we can produce your customize carpet in our warehouse. 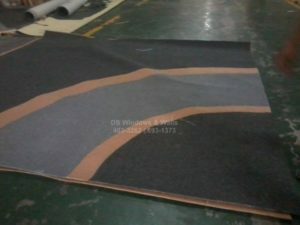 We can fabricate special carpet design by mixing different color combination. You may choose and pick colors from our wide list carpet catalog. For this particular client we fabricated different curve cuttings and angle design with different color combination. The first design is a combination of blue, gray and black charcoal color with arc cuttings, same as with the second design but with black, gray and sand brown combination. 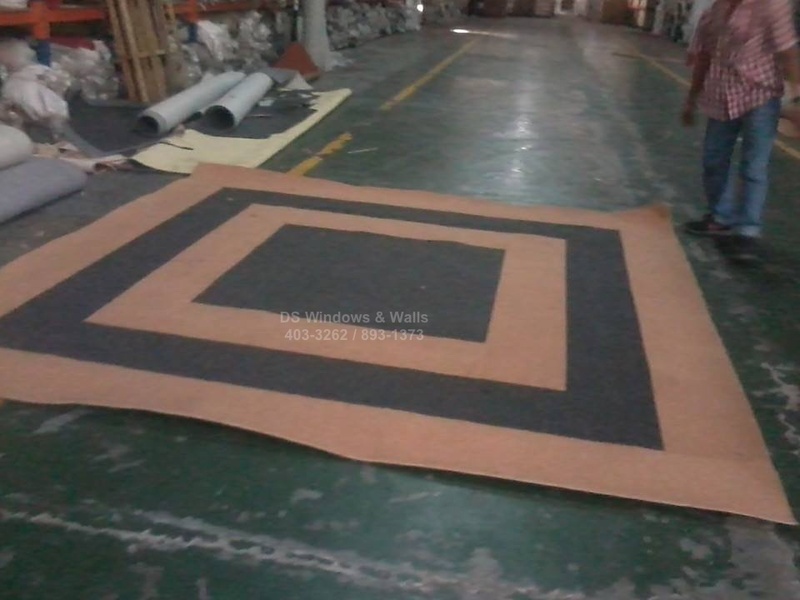 The last design is popularly called bulls eye carpet design using square pattern with orange and black combination. 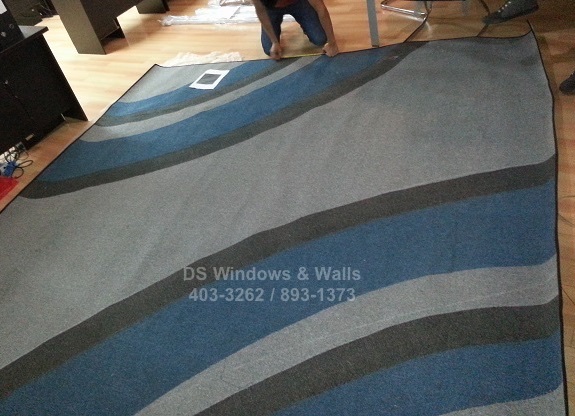 All carpet pattern, exact measurement and color combination and sequence are personally designed by our client. By the way, most of our workers has been in this trade for over 20 years so expect that it is professionally and expertly done! After fabrication and before it will be delivered to the client, it goes through quality check inspection where we double check if the design was accurately implemented and matches the drawing specification given by the client and if the carpet is in perfect condition. Comparing the picture model in the first image you can easily see that the carpet is a perfect carbon copy. All the little details are accurately executed from the color, size, cuttings, etc. After about five days we can deliver and install your carpet as you can see in the last two pictures of our client’s booths. 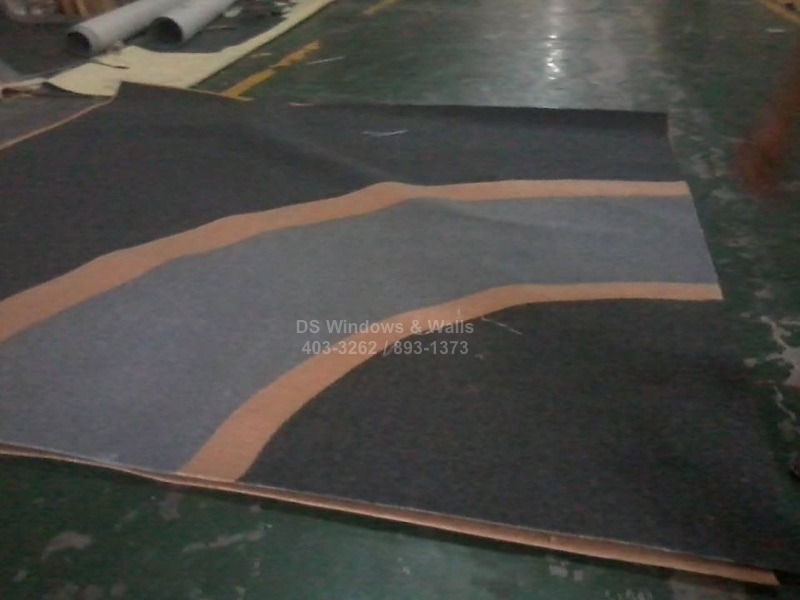 Optionally, we can also deliver the carpet inside the mall premises and do its installation. 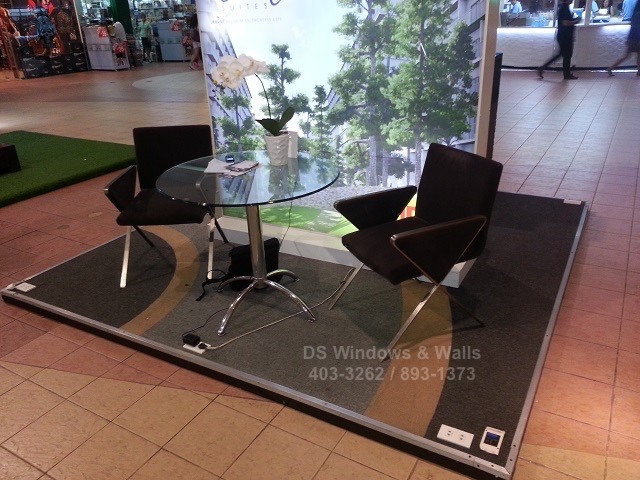 Using a special custom design carpet can help to make a huge impact and can be considered a competitive advantage even with just a small store booth. 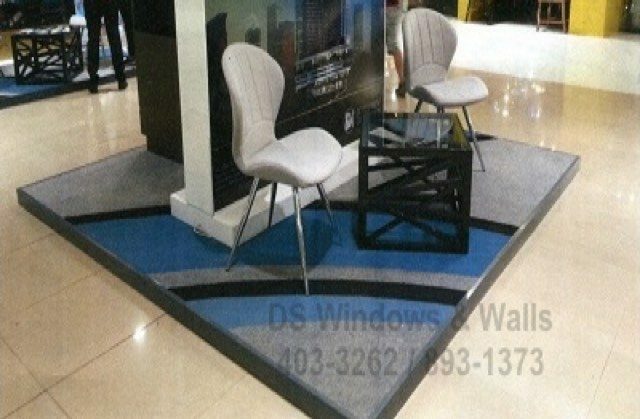 It helps the booths and the company to create its own personal image in the public eye and give a lively and colorful mood that helps with the lead generation and marketing.